The part of the brain that tells us the direction to travel when we navigate has been identified by UCL scientists, and the strength of its signal predicts how well people can navigate. It has long been known that some people are better at navigating than others, but until now it has been unclear why. The latest study, funded by the Wellcome Trust and published in Current Biology, shows that the strength and reliability of 'homing signals' in the human brain vary among people and can predict navigational ability. In order to successfully navigate to a destination, you need to know which direction you are currently facing and which direction to travel in. For example, 'I am facing north and want to head east'. It is already known that mammals have brain cells that signal the direction that they are currently facing, a discovery that formed part of the 2014 Nobel Prize in Physiology or Medicine to UCL Professor John O'Keefe. The latest research reveals that the part of the brain that signals which direction you are facing, called the entorhinal region, is also used to signal the direction in which you need to travel to reach your destination. 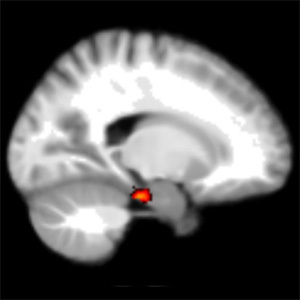 This part of the brain tells you not only which direction you are currently facing, but also which direction you should be facing in the future. In other words, the researchers have found where our 'sense of direction' comes from in the brain and worked out a way to measure it using functional magnetic resonance imaging (fMRI). "This type of 'homing signal' has been thought to exist for many years, but until now it has remained purely speculation," explains Dr Hugo Spiers (UCL Experimental Psychology), who led the study. "Studies on London cab drivers have shown that the first thing they do when they work out a route is calculate which direction they need to head in. We now know that the entorhinal cortex is responsible for such calculations and the quality of signals from this region seem to determine how good someone's navigational skills will be." In the study, 16 healthy volunteers were asked to navigate a simple square environment simulated on a computer. Each wall had a picture of a different landscape, and each corner contained a different object. Participants were placed in a corner of the environment, facing a certain direction and asked how to navigate to an object in another corner. "In this simple test, we were looking to see which areas of the brain were active when participants were considering different directions," says Dr Spiers. "We were surprised to see that the strength and consistency of brain signals from the entorhinal region noticeably influenced people's performance in such a basic task. We now need to investigate the effect in more complex navigational tasks, but I would expect the differences in entorhinal activity to have a larger impact on more complex tasks. Dr Martin Chadwick (UCL Experimental Psychology), lead author of the study, said: "Our results provide evidence to support the idea that your internal 'compass' readjusts as you move through the environment. For example, if you turn left then your entorhinal region should process this to shift your facing direction and goal direction accordingly. If you get lost after taking too many turns, this may be because your brain could not keep up and failed to adjust your facing and goal directions." The entorhinal region is one of the first parts of the brain affected by Alzheimer's disease, so the findings may also help to explain why people start to get lost in the early stages of the disease. The researchers hope to develop their simple simulation task so that it might be used to aid early diagnosis and monitor the progression of the disease. Dr John Isaac, Head of Neuroscience and Mental Health at the Wellcome Trust said: "Neuroscientists have made huge advances in our understanding of how we navigate space, widely recognised after this year's Nobel Prizes, and this research is yet another step forward. Why some people are better navigators than others is intrinsically interesting, but it also helps us explain the processes that go wrong in people with degenerative brain disorders such as dementia. An estimated 850,000 people are living with dementia in the UK, many of whom suffer deterioration in their navigational skills, leaving them lost and confused."